Originally, this ideally placed hamlet was used as a lookout point to warn the Lucchese of a possible invasion from bordering neighbors. Later still, the Sisters of Barbantine, an order that cared tirelessly for the sick, transformed the manor into a place of refuge and rest for the sisters. 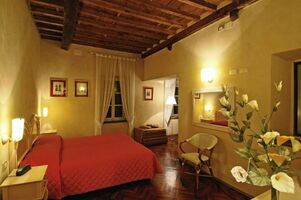 Lovingly restored by the current owners, it is now a hotel and restaurant with a fantastic panorama over the Lucca hills. As such, it is well suited for wedding parties that wish to provide the accommodation for their guests at the reception site. The hotel offers 17 double rooms all with a view over the mountains and modern amenities such as air conditioning, small refrigerator, phone, Internet connection, and satellite TV. 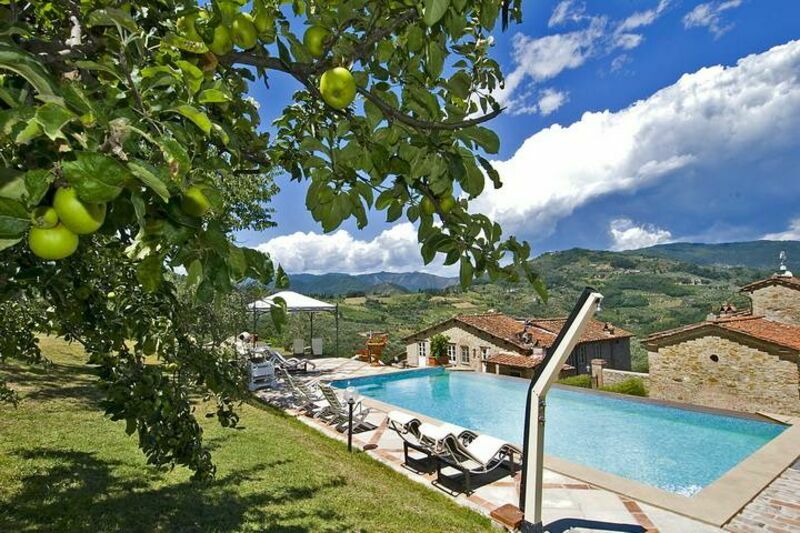 An Infinity pool with a panoramic view over the valley invites guests to relax in comfort. In addition to the main hotel, situated just above the hotel's olive grove and vineyard, lies two stone efficiency cottages available for weekly rental. A rustic stone cantina facing the hotel is part of the hotel winery and can arrange wine and olive oil tastings for you and your guests. 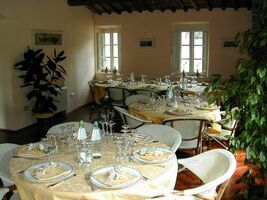 Particularly adapted for weddings, next to the hotel is a restaurant that serves traditional Lucchese cuisine with a twist. 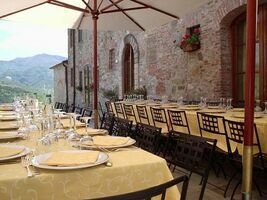 The restaurant can accommodate up to 60 guests indoors or up to 90 guests outdoors. A traditional menu starts with a extensive appetizer buffet and cocktails, followed by seated service of two first courses (usually a fresh pasta dish and a soup or risotto), followed by a second course, dessert, coffee, and after dinner drinks. 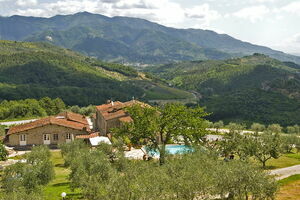 The restaurant and hotel are conveniently located, under a 20 minute drive away from downtown Lucca. An excellent choice for those wishing to celebrate a long wedding weekend or week.